On Mondays, people shower Lord Shiva with all the prayers and love. It is said that pleasing Lord Shiva is extremely easy. Hence, people usually fast for the whole day and offer special prayers to the Lord for a blissful life. The fasting, once started, must be continued for 16 weeks. When one observes the fast, they must first wake up early every Monday morning. After completing the morning ablutions, they must first clean the altar or Mandir. Once clean, light diyas with gingelly oil. Decorate the idol or the picture of Lord Shiva using Chandan and colorful flowers. While you are offering beautiful flowers to Lord Shiva, keep chanting the Lord’s name. You can chant ‘Om Namah Shivay’. 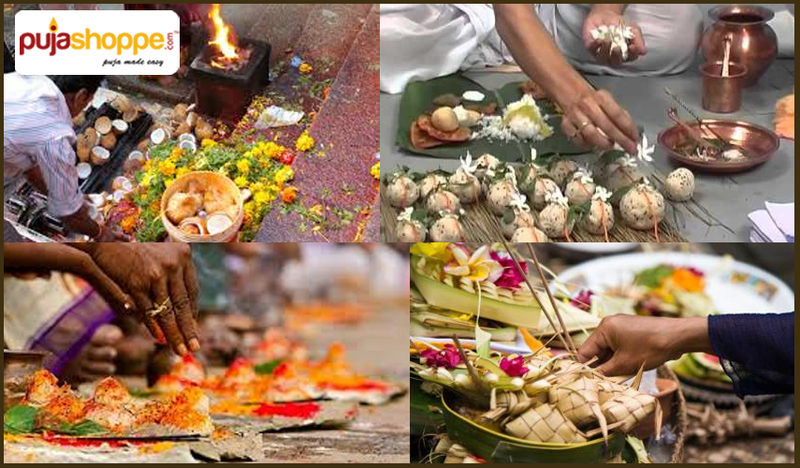 Before concluding the pooja, one must offer, betel leaves, coconut, fresh fruits, and a sweet dish that is freshly made at home using very fine ingredients. Always remember, when you are cooking for the Lord, you must always commence once you take your bath and never try to taste it, it must remain untouched till you offer it to Lord Shiva. 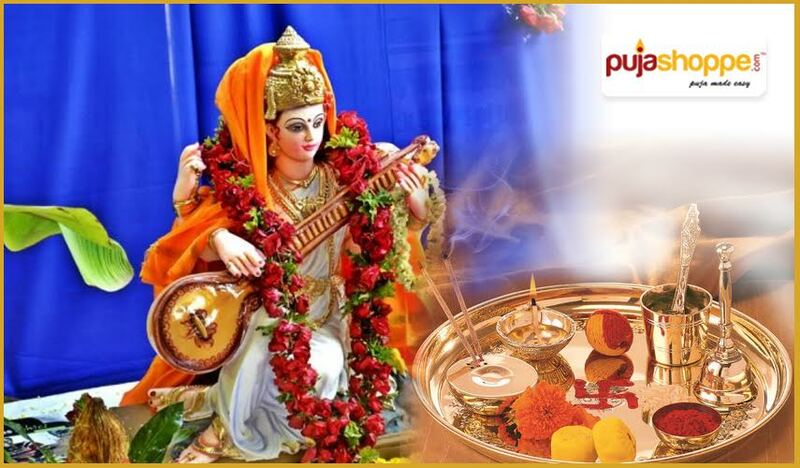 Today, there are very many online puja stores to make things easier for you. This way, you are offered a vast variety and can choose the best ingredients. Also, it is extremely time-saving. 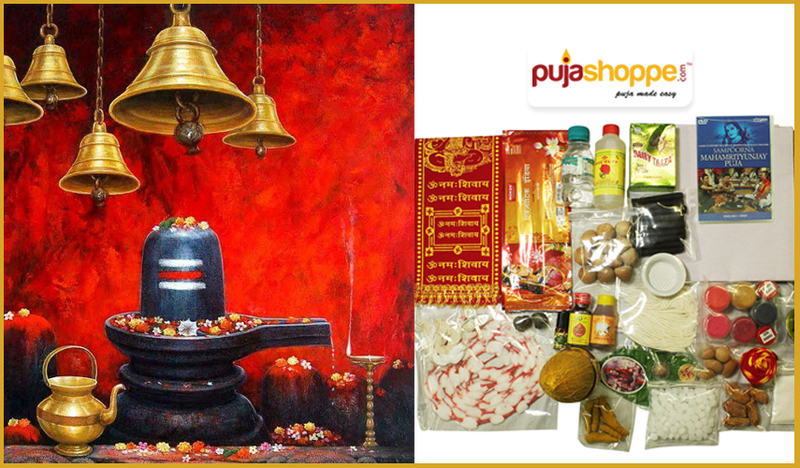 Even if you are in the office, you can buy all the puja items easily. You can perform Monday prayers even if you are not fasting. For this, the procedure is a little different. You will need; Shiv Ling, milk, honey, water, curds, ghee, sugar, bilva leaves, Chandan, flowers, vibhuti, oil, diyas and incense sticks. As mentioned, before you begin the prayers, you must cleanse yourself thoroughly. You can recite mantras like Shiva Bija Mantra, Maha mrityunjay mantra etc. First, light the lamp and burn the incense sticks. 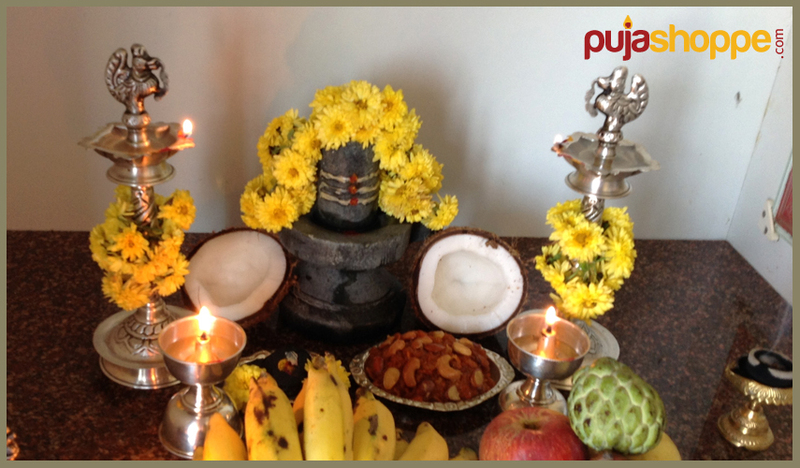 Then, offer fresh fruits and adorn Lord Shiva with flowers. After the mantras, give the idol of Lord Shiva a bath with water and then perform Panchamrit Abhisheka. For this, mix honey, sugar, ghee, curd, and milk (this is the panchamrit). Finally, offer the panchamrit to all the family members. One can buy puja samagri online if you are not able to find all these ingredients in your nearby market. Praying to Lord Shiva is extremely beneficial. Shiva protects you from all the negativity and keeps Shani away. It will also keep you healthy and prevent any major diseases or problems. If you are trying to advance in your career, Lord Shiva will help you attain all the professional success. It is said that fasting for 16 weeks will also help you find the husband of your dreams. 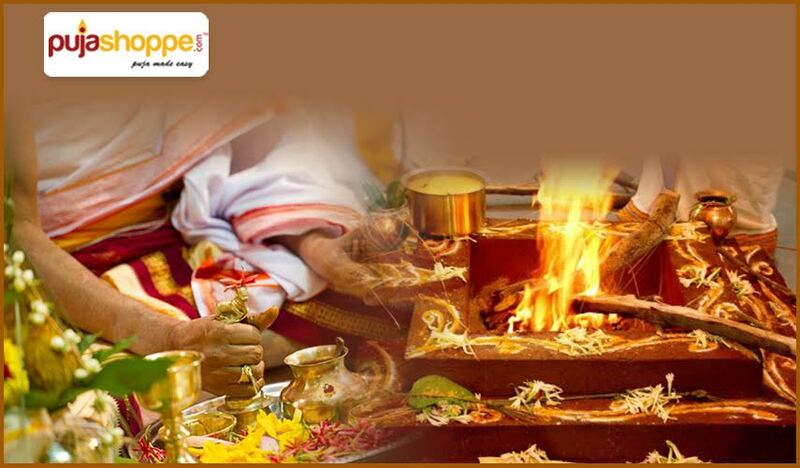 For a successful and harmonious marriage, offer Lord Shiva your prayers. He, the mighty Lord, always offers his support and strength when pleased with you. Hence, whenever you are in a difficult situation, Shiva will surely help you get rid of all your troubles and give you that much-needed courage to face the world. When you offer your Monday prayers regularly, it will help you achieve Moksha or salvation in your afterlife and help you achieve peace. The Celebration of Mahashivratri – How to Perform the Puja? Vasant Panchami is a widely celebrated puja in several parts of the Indian subcontinent. People celebrate it with great fervour while keeping the age old rituals of the same quite intact. It happens to be a celebration of togetherness, love as well as the onset of education in many infant lives. Saraswati puja is that time of the year when you pack up your books and pray to the goddess for her blessings. But to organise a Saraswati puja is no easy job. You need to know all the steps involved and you need to arrange for all the ingredients. Saraswati puja is a time of celebration and fervour for the Bengalis all over the world. Bengalis consider this puja to a celebration of their intellectual history. They believe that the celebration of Ma Saraswati is their divine right as the intellectual capital of India. Saraswati puja is celebrated all across educational institutes of the state and as well as in the localities and the homes of the Bengalis. The goddess Saraswati statue is decorated with ‘chandmala’ and vermillion and is placed on an elevated platform. She is strewn with seasonal flowers and fruits and a pundit curates a puja for her. Many ingredients are needed to curate a proper Saraswati puja. Since the arranging for these ingredients is a cumbersome job, online retailers are selling Saraswati puja Kit on a brass thali for you. These kits would generally include the following things. Saraswati Idol – Getting hold of a Saraswati idol is very cumbersome and you can get it online. Shodashmatrika – This is an important part of the Saraswati puja and without it the puja will not happen. Aggarbatti and Dhoop – Every Puja requires dhoop and aggarbatti and similarly in this case you need them to make the atmosphere pious. Pancha Ratna – It is dust of precious stones that are required for a puja. It is offered to the goddess as an offering. Pancha Mewa – As Saraswati puja is a very strictly vegetarian affair, dry fruits play a very important role in the offering offered to the goddess. Though this is not strictly necessary, but the addition will always help. Achaman Patra – This is a very vital ingredient in every puja and this is the thali where the primary offering isd made to the goddess. Sapt Mrittika – Seven pots or mrittikas are required in a puja. Clay Diya – Clay diyas are lit on the sides of the goddess so as to ward off the evil spirits. These play a very vital part in the puja and is very essential. 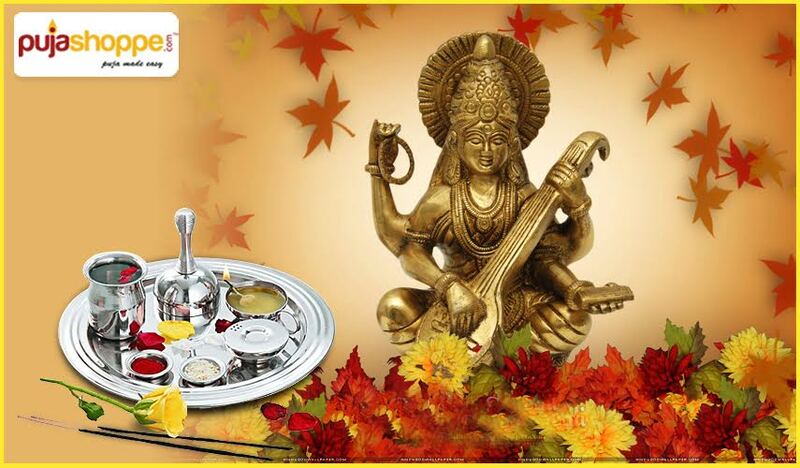 Puja Thali – A puja thali is needed to place all the offerings in it and offer it to the goddess. This is perhaps the most important part of the puja accessories. With all these ingredients in hand, you are completely ready to curate your own Saraswati puja. All you need now is the will and the energy to get up and call on your friends and family and have a pious puja that will bring prosperity to all your intellectual endeavours. Saraswati puja is an essential part of the calendar of Hindu festivals. But the myth and legend of the goddess comes from far beyond and her grace and reach reaches further beyond. 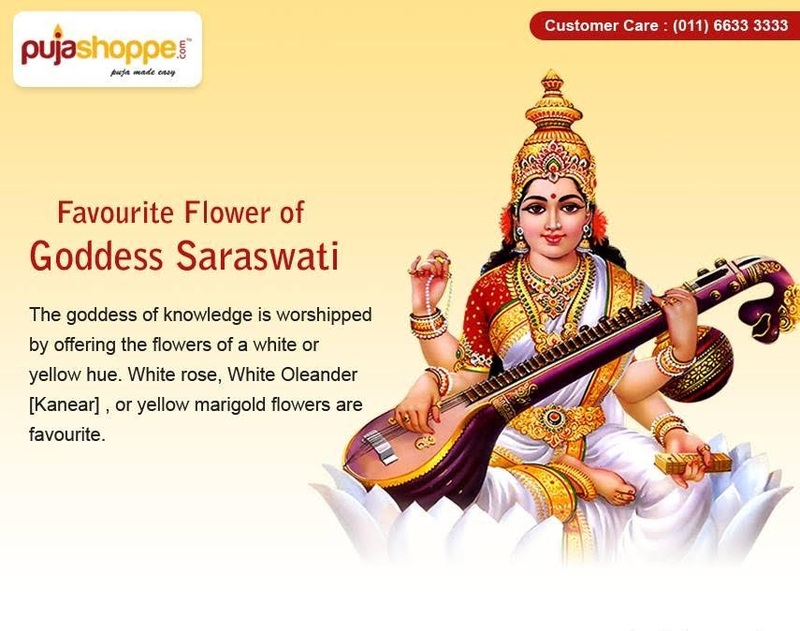 Here is everything you need to know about Saraswati. Indians culturally are a very religious minded people. We have a god for everything. Be it the god of wealth, god of death or be it the god of learning. Saraswati puja is held on the auspicious day of Vasant Panchami. Saraswati is known as the god of intellectual thought , high learning, science and technology. Saraswati puja kits in brass thali are widely available everywhere during this time and students and other devotees buy them abundantly. Though Saraswati puja is mainly organised in schools and other institutions of learning, lately there has been a trend to organise Saraswati puja in localities as well. 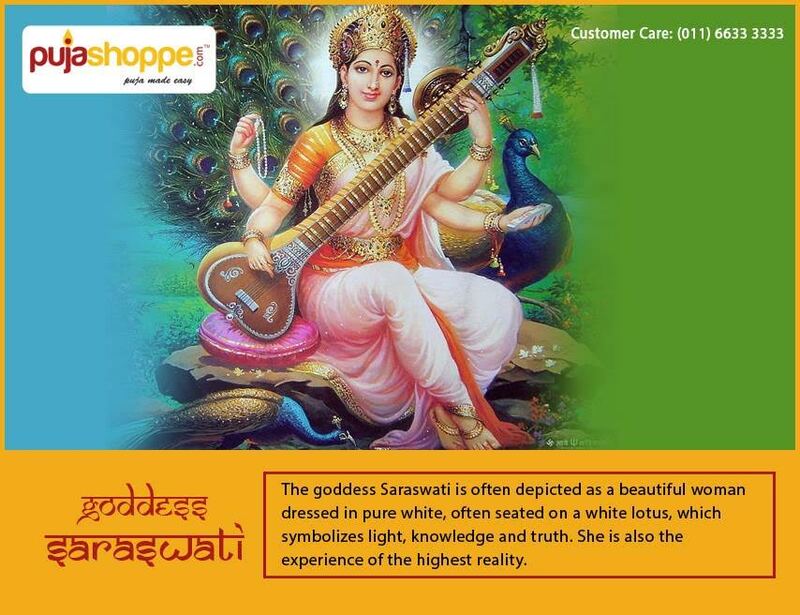 Saraswati is also sometimes known as Sarasvati. It is derived from the Sanskrit word ‘sara’ meaning essence and ‘sva’ meaning one’s self. The word sarasva thus essentially means the ‘essence of your own self’. So naturally, the actual meaning of Sarasvati is one who leads to the ‘essence of self-knowledge’. Saraswati was originally a river which flowed through India in the Vedic times. This river was as important to them as the importance of Ganges to their modern descendants. So, the myth of the name arrives from the fact that Saraswati River was like a nourishing mother. In Rig-Veda, Saraswati has been deified as ‘Best Mother, best of rivers, and best of Goddesses.’ The abundance of its waters and the prosperity it brought solidified the legend of Saraswati being the possessor of purifying powers. In the later Vedas written in Bramhanas, the legend of the word changed from water that purifies’ to ‘that which purifies’ and ultimately to ‘knowledge that purifies’. Saraswati slowly started to evolve into the deity of knowledge and music and art and learning. Saraswati puja is celebrated in different parts of the country at different times. In West Bengal, Saraswati puja takes place during Vasant Panchami , or the fifth day of the month of Maagh. In southern states like Tamil Nadu and Kerala, Saraswati puja is held on the last three days of navaratri. Myanmar – The goddess is known by the name Thurathadi and students worship her for blessings and for being good in their studies. She is also symbolised as the protector of Buddhist scriptures in the Mahayana pantheon of Myanmar. Thailand – Ancient Thai literature depicts Saraswati as the goddess of learning and speech. Mentions and icons of saraswati are abundantly found in the various wats of Thiland. Indonesia – Balinese Hindus celebrate the end of the 210 day year of the Pawukon calendar with Saraswati Day. Saraswati Day is one of the main festivals of Hindus there. In this culture this day is considered the day of cleansing and people take baths in sacred waterfalls or river spots. Loaded with all this information about Saraswati from all around the world, you must be feeling the urge to celebrate Saraswati puja. In the national capital, Saraswati puja is celebrated with great fervour owing to the large population of Bengalis residing there. Finding an essential puja kit in Delhi is easy enough. You just have to log on to www.pujashoppe.com and all your needs will be met. Maha shivaratri is observed by the pious hindu populous of the sub- continent with great fervour. With many legends surrounding this day, the devotees offer their puja to the shiva linga after a day’s fast for attaining Moksha and shedding of their past sins. Maha Shivaratri translates to “the great night of the shiva”. It is celebrated by Hindus all across India and Nepal. On the new moon day of the month of Maagh, Hindus hold the maha shivaratri celebrations to venerate the lord of destruction, Shiva. On this pious day unmarried Hindu women buy maha Shivaratri puja samagri and offer their puja to the lord for a prospective partner. Married women do the same to ask for a prosperous life for their husbands. A popular legend tells the story of a hunter who was waiting patiently atop a Woodapple tree for a deer. In order to attract the deer, the hunter started dropping leaves of the tree down on the ground. He did not notice that there was a shiva linga below him at the base of the tree. 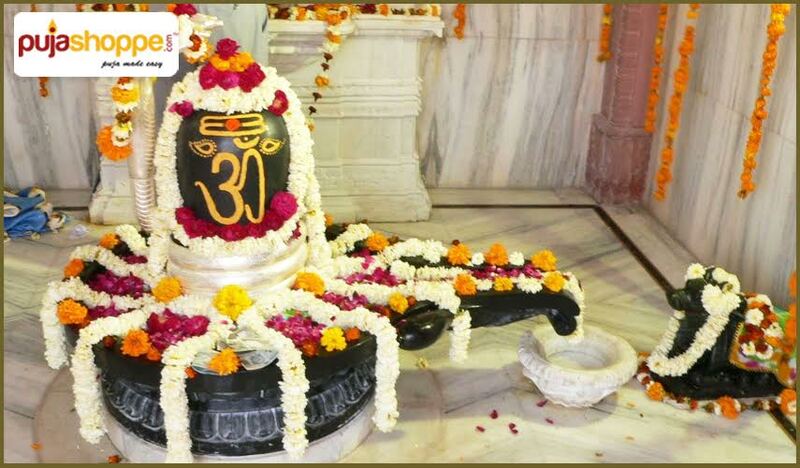 Lord Shiva was very pleased with him for dropping the leaves on the linga. He appeared in-front of him in person and blessed him. It is said that after that day the hunter gave up hunting and became a vegetarian. Another popular legend tells the story of a conversation between Parvati and Shiva. It is said that Parvati asked Shiva what his favourite day is and he replied that it is day we come to celebrate as Maha- Shivaratri. Once the earth was faced with imminent destruction and Parvati had asked her husband Lord Shiva to come in aid of this world. He said that he would save the world under one pre context. The people of the world needed to worship him. From that day it is said that we celebrate Maha shivaratri in praise of the saviour Lord Shiva. The pious devotees of lord Shiva observe this day with many rituals and with much fervour. People keep a fast on this day and only take a sip of water after offering puja to the shiva linga. It is said that fasting on this day and offering puja to shiva linga washes away your past sins and help you attain Moksha. The morning rituals – On the day of the shivaratri, devotees wake up at the crack of dawn and take a bath in the holy ganges and offer their prayers to the sun god, Vishnu and Shiva as a part of the purification rite observed in any Hindu festival. Then they throng to the shiva temples to offer the puja. People circumscribe the Shiva linga and pour either milk or water over the shiva linga. They sound the temple bells and chant in the name of the Lord. The ritual bathing of the Shiva linga – On this auspicious day of the Maha Shivaratri, the Shiva linga is bathed with milk and honey. Bel leaves are offered as puja. Some people also offer beetle leaves. After this vermillion paste is applied on the shiva linga.. This is believed to have a cooling effect on the hot tempered god. The rituals through the night – On the night of shivaratri, the temples light up withcolourful lights and devotees sing hymns and praises in the name of the lord. A favourite of Lord Shiva, Ganja is consumed by devotees with great fervour all throughout the night. Shivaratri is an auspicious hindu festival. People can buy puja samagri at reasonable prices and offer their puja to the lord on this day for blessings and for attaining Moksha. Hindus worship gods of every aspect of life .Ganesh is one of the primary ones they worship, He is the bringer of good luck and repels bad omens. So this new year, learn about the mythology of this famous deity and worship him in your home. In the Hindu religion people worship every facet of human life. Be it learning or food or be it , we worship everybody. 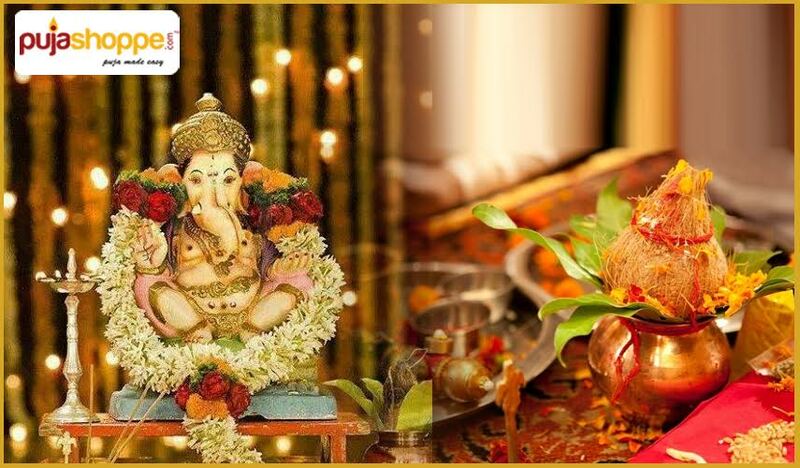 In the season of prosperity and new beginnings, hindu’s worship the goddess of prosperity and good luck, Ganesh. He is the lord of new beginnings and a remover of problems and obstacles, and due to these reasons he is a favourite all across India, irrespective of culture or beliefs. If you want to start your new year in an auspicious note, buy a lord ganesh murti online and place him in your puja place. He will surely bring you good luck and prosperity. Who is this Elephant Headed Fellow Anyway? Ganesh is one of the most beloved and respected deities in the Hindu pantheon of gods, and he is very easily recognised outside India as well. But why is he so popular? What are the legends surrounding him? He is popularly considered to be the son of Parvati and Shiva. Although the Puranas disagree. They state that he may have been created by parvati or by Shiva or it might have been the case that Shiva and Parvati discovered him. One of the biggest legends surrounding him is the story of how he got his elephant head. It is said that goddess Parvati wanted to take a bath and created a boy to guard her bathroom door. When Shiva, husband to Parvati, returned from one of his royal battles he was denied entry by Ganesh. In a fit of unthinkable rage, Shiva hacked off the head of this boy with his sword. Parvati, was mortified and very upset. To appease his wife, Shiva sent away his minions to get the head of the first deceased animal they encounter. They brought back the head of an elephant and the boy was brought back to life. His enormous head represents his unmatched wisdom and him gaining knowledge through reflection. When rishi Ved Vyas was asked to write mahabharat, by Bramha, he needed a writer who could write the great epic fluently. He asked Ganesh if he would write for him and Ganesh agreed. He had one condition before agreeing. He said that Ved Vyas had to dictate the whole epic to him without a pause. The great rishi agreed but said that Ganesh must understand each word before taking it down. Ganesh gleefully accepted the challenge. Thus began the marathon of an epic storytelling. The legends say that during this endeavour of his, Ganesh broke his pen and to continue the writing without any interruptions, he broke of his tooth and wrote with that. Ganesh is remembered as the god of courage and sacrifice. So if you are a pious person who wants to bring good luck and prosperity to your home, Curate a ganesh puja at your house. Buy puja samagri online and revel in the glory of the god who represents Wisdom and goodluck. Death is a time for mourning in the family and the Hindu faith dictates us to observe several of the. The Hindu faith is one which deals with the grief of death spiritually. The time when there is a death in the family is a time for the family to come together. But with corporate work culture taking up the bulk of the time, coming together and arranging for a grand funeraltakes a lot of sacrifices on the mourners’ part. The fact that people can buy puja kits online is a big step towards relieving them of this sacred duty during their time of mourning. They can utilize this time by being with the family and mourn with all the proper rituals. After a death has happened in the family, the Hindu faith dictates us to observe a number of rituals piously. Here are a few that are very commonly observed. The body is washed immediately after a death, generally by the women in the family and then sacred ash is applied. In some communities the dead body is also decorated with chandan tika. The body is placed in a wooden bed and is prepared for the funeral pyre. In the meantime no cooking is done at home. It is said that no fire will be lit in the house until the fire from the funeral pyre has died down. The friends of the family arrive with food. That should all be vegetarian food and no onion or garlic should be put in it. The next day the ashes are scattered in a river or a sea or any earth in India. A light is lit and water is kept beside a garlanded photo of the deceased. This is believed to facilitate the safe journey of the soul. A period of mourning is observed by the immediate family of the deceased lasting from 13 to 40 days, depending on the caste and community. After this period the family is again assimilated into the society. On the day when the mourning ends a feast is held, when Brahmins and the poor and distressed part of the society is fed a meal for blessings for the deceased soul. Observing all these rituals piously demands a large portion of a person’s time which may result in career suicides. Nowadays observing all these rituals is a hard proposition. All these rituals need a supervising eye on them and so there is a need to book a pandit. A pandit is a man learned in Hindu scriptures who guide the mourners through this process. It is said that in these times of grief the belief of immortality of the soul provides solace to the family. Reading out passages of the Bhagawad Gita calms the soul in these times of grief.